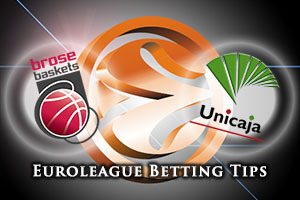 Over/Under: Over 154.4 at 1.90 Bet Now! These two teams have a great history of tight games. Although the Spanish side holds a 5-2 overall record in the series, they have managed to grab 4 wins with a cumulative total of 11 points. Add in the fact that Bamberg’s wins were single point victories, and you get the feeling this will be a close game. While most of the focus falls on the unbeaten season of Malaga so far, the 3-2 record of Brose deserves some recognition. The Germans have won three of their last four games and they are currently sitting in third place, behind Malaga and CSKA. There will be plenty of teams who would gladly accept third place behind those two teams and Bamberg have had some big performances of late. Nicolo Melli grabbed the MVP award in Round 5 and if he can deliver another strong performance, aided by Daniel Theis and Gabe Olaseni, there could be an upset on the cards in this game on Friday night. One thing that Malaga will look to have in their favour in this game is that in the series, five wins out of seven have gone to the away team. This is exactly what the Top 16 chasing team wants to hear heading into this game but it is not as if Malaga needs much else in their favour. Holding a 5-0 record at the halfway stage is perfect and the win over CSKA Moscow last week was a huge one. Mindaugas Kuzminskas has been in tremendous form so far this season for the Spanish side, making the difference in the opening round clash between these teams. The bookmakers think this will be a close game and that the Germans are actually slight favourites. 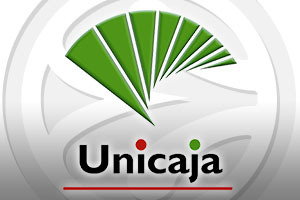 With that in mind, back Unicaja Malaga at +1, at odds of 1.90 on Friday night. For the Over/Under market, opt to go OVER 154.4 at odds of 1.90. Bet Now!